In The White Room runs a comprehensive PR & social media campaign for Lundhs. Placing imagery and expert comment within a range of high-circulation publications. The digital and social media teams have also worked on a number of campaigns in order to increase brand awareness and drive traffic to the company’s website. Norwegian natural stone specialists Lundhs began working with In The White Room in order to build awareness of the brand and its Real Stone products within the UK market. Through dedicated PR and Social Media campaigns, our team has been able to increase brand awareness amongst target audiences and generate valuable exposure for the brand within the UK interiors media. 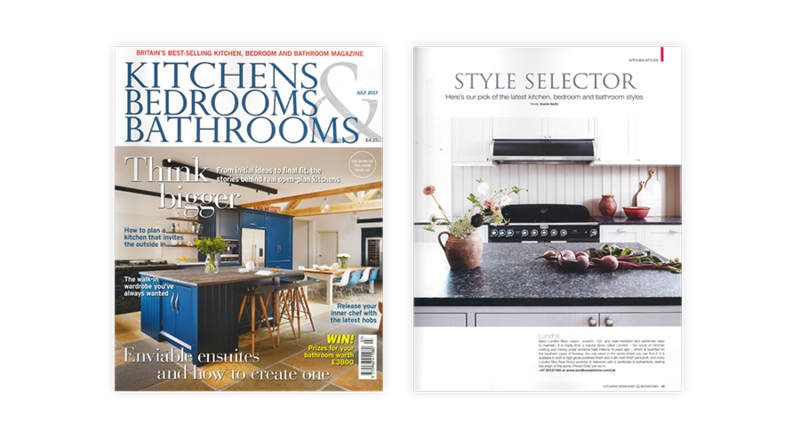 From aspirational publications such as Elle Decoration to high-end titles such as The World of Interiors, the targeted PR campaign aims to increase brand awareness of the Lundhs brand within relevant media, from kitchen worktop features to more trend-focused pages. Known for her Scandinavian outlook on interiors, Hege in France was the ideal partner of choice for Lundhs. Broadening the brand’s reach through her wide and relevant captured audience, we worked with Hege to generate valuable exposure for Lundhs. As part of her home renovation, we provided her with a stunning new kitchen worktop, which has resulted in a variety of posts on the blog, her Instagram and even as part of home renovation photography features. In order to develop Lundhs’ online identity within the UK, our digital team set up dedicated UK social media pages. The overall objective of the campaign is to inspire and engage with the brand’s target audience as well as increase the overall awareness of Lundhs and its Real Stone worktops. Instilling a sense and feel of Norway in a way that appeals to a UK audience, the social media platforms integrate captivating and specially created video and photographic content in order to increase Lundhs’ brand recognition in the UK. From eye-catching seasonal videos to inspirational content, our in-house studio develops creative online campaigns for Lundhs throughout the year. Whether raising brand awareness by optimising for video views or increasing clicks to the Lundhs UK website, we produce a series of different videos, photos, posts and adverts that are then advertised to specific and targeted audiences.